Unlike all other current wide body aircraft, the Boeing 787 is unique in many of its features. In particular, turbine starting which is achieved through massive electric starters that under normal conditions are powered from the aircrafts auxiliary power unit (APU). Occasionally an APU can fail, resulting in external power being required to achieve an engine start. This situation occurred recently at a major airport where the extreme load required for engine starting caused a competitors fixed electrical ground power unit (FEGP), to fail to start the turbine, which in turn caused a delayed departure. 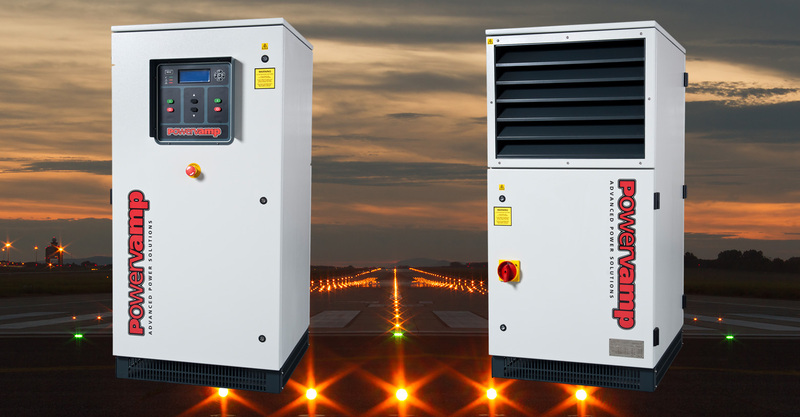 As a result, the airport required Powervamp to demonstrate that its latest PV90-3, 90 kVA converters were capable of handling an engine start under the same inoperable APU situation and without modification. To fully test Powervamp’s converters under these extreme conditions, several Boeing 787 ‘cold starts’, (no fuel or ignition), were carried out at the airline’s request to prove GPU functionality. A cold start will replicate the exact same aircraft power requirements as an actual turbine start. In the footage below, the performance of two PV90-3 GPUs can be viewed from the flight deck CRT displays starting the engine without any problem despite delivering power through an exceptionally long 70 metre underground cable. The test, which was carried out several times in quick succession without any problem, proved the performance of Powervamp’s PV90-3 converters under repeated very high loading. The footage shows the Dreamliners’ electrical screen on the left and the engine parameter screen on the right. Note that the input voltage from the FEGP converters remains at a constant 114V AC all the time. There is a power representation showing the load factor on each GPU as well as the overall kVA power draw. The audible double ‘click’ of the initial start process is confirmed by the ‘rotating’ line of the relevant engine – the focus then shifts to the engine panel showing the turbine N1 accelerating to 17% where it stabilizes, (the engine ignition would normally occur at 12% if fuel/igniters had been applied). 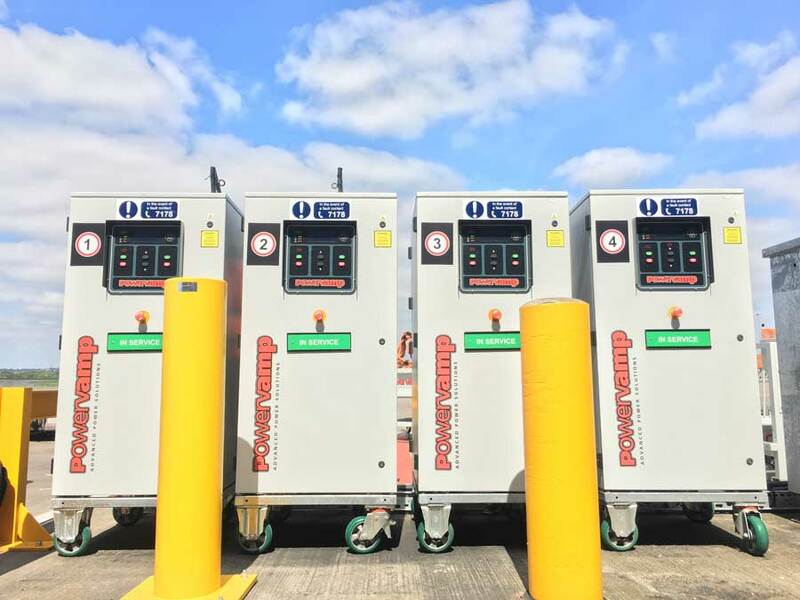 Turbine spool-up to 17% was done deliberately to load both 90kVA Powervamp converters to their maximum. Focus shifts back to the electrical display to show the converter outputs in this state of high output. The test ends as the camera pans back to the overall cockpit view. The success of the trial (using the same aircraft which had previously required external power for engine starting), can be attributed to Powervamp’s 18 years of experience in the supply of advanced power solutions into the civil and military aviation industry. Its Aircraft converter designs are engineered to handle both the exceptional overloads experienced with the 787 aircraft and continuous high current draw for extended periods without shutdown – a design feature guaranteed to maximize operating life. Powervamp is the UKs only designer and manufacturer of 400Hz aircraft frequency converters. Its team of top software graduates, including aircraft engineers with in-depth avionics experience, gives it a unique working aviation knowledge base and unparalleled experience in understanding airport operations and ground power. *** This situation was found to cause our competitor’s GPU’s to become unstable resulting in the 787 aircraft power quality monitor to trip due to ‘bad power’. In seeking to solve this problem, it was learnt that the manufacturer of the units that failed, requested that the airport upgrade ALL of their existing GPUs.